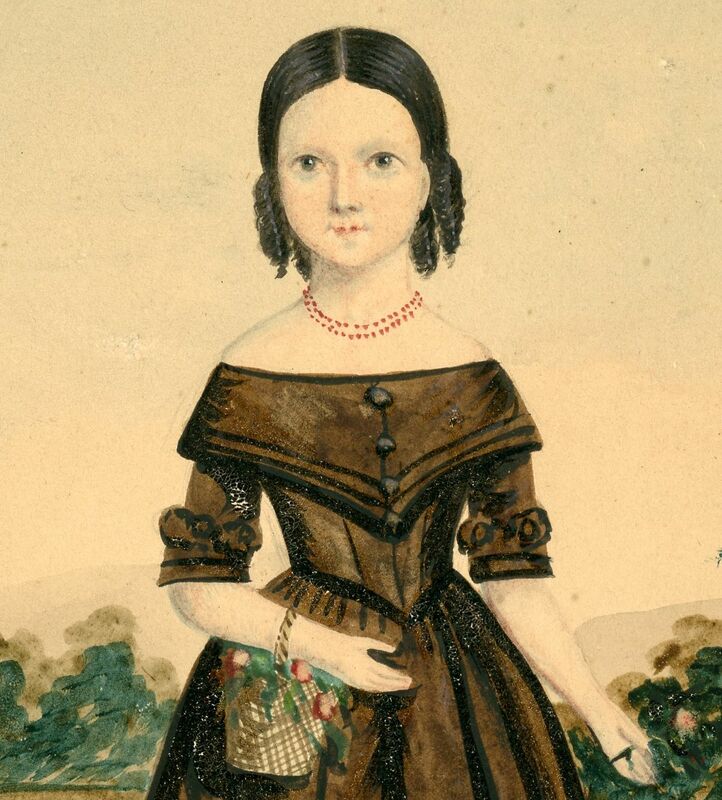 A charming watercolour portrait of a young girl in a garden landscape with a little wicker basket of pink roses over her arm. 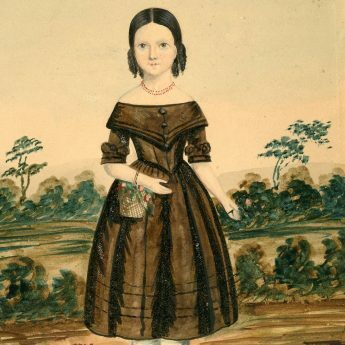 She is wearing a wide-shouldered brown dress with a pointed waistline, tiered skirt and elbow-length sleeves over white drawers (or pantaloons as they are sometimes known as). 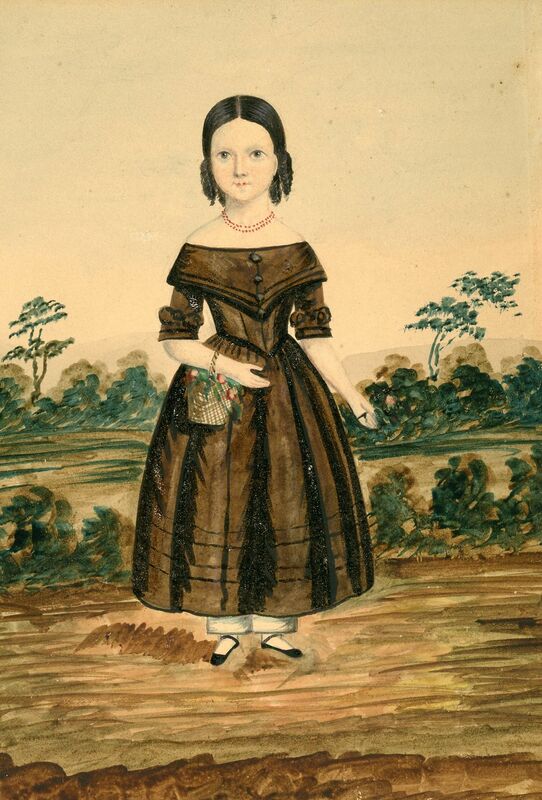 She also has a double strand coral bead necklace as was commonly by children during the 18th and 19h centuries. 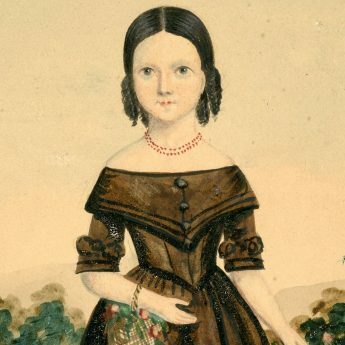 Her dark hair is arranged in tight ringlets. 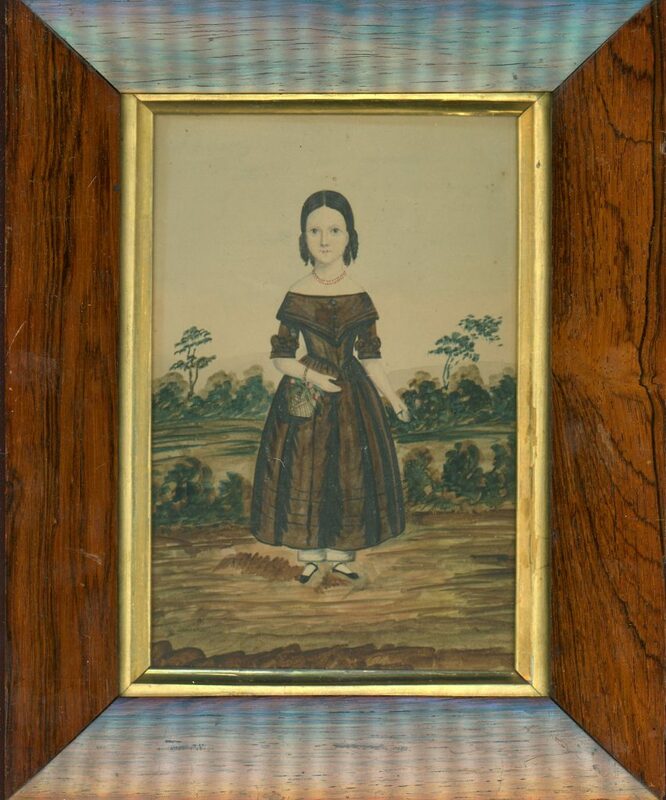 The portrait resides in a period rosewood frame with a gilt slip. Fine condition.